Cloud Nine Health Beauty Studio, Oldcastle offers professional Health and Beauty Treatments and Services at very competitive rates. The Cloud Nine Team is made up of dedicated professionals who want to provide you with the best treatment and services possible to meet your needs. 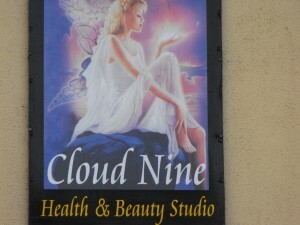 Cloud Nine offers Facials, Body Polish and Wraps, Massage, Fat and Cellulite Reduction, Hands and Feet, Make-up and Tanning, Hair removal Waxing.